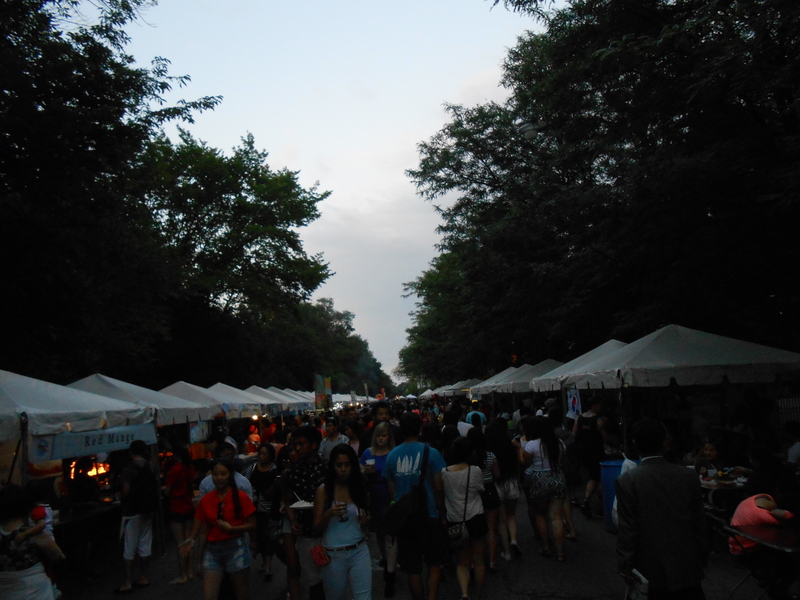 The Chicago Korean Festival is a summer festival that happens on Bryn Mawr Avenue, essentially on the Northeastern Illinois University campus. To get to the festival you have to ride the brown line to the end of the line which can be about an hour depending on where you get on. After getting off at Kimball you then have to get on the 82 bus then go on a short walk. The 82 bus north has a stop right outside the Kimball brownline . The Chicago Korean Festival includes a kimchi eating contest, a k-pop contest, a korean food market, and more. 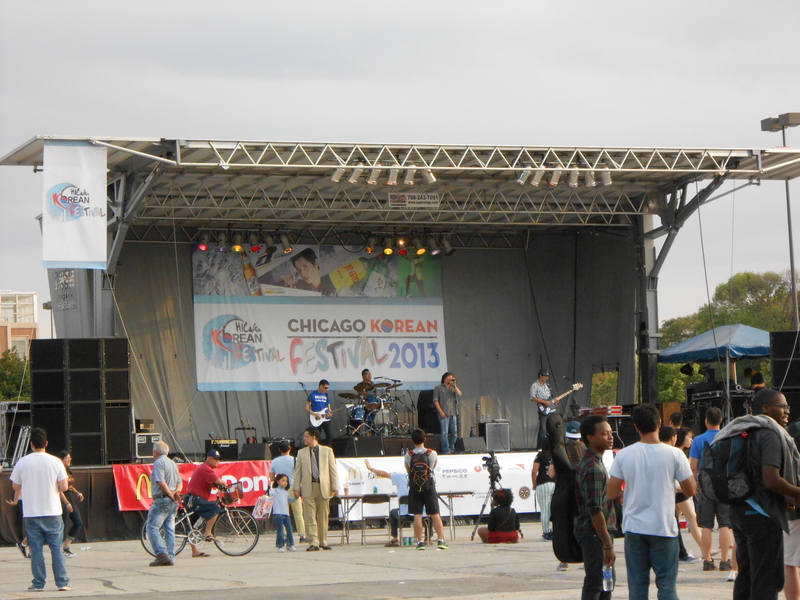 The Chicago Korean Festival is usually an early Saturday and Sunday in August from 10 am to 10pm. This festival is free to attend. Food however is ticketed. $1 per ticket. 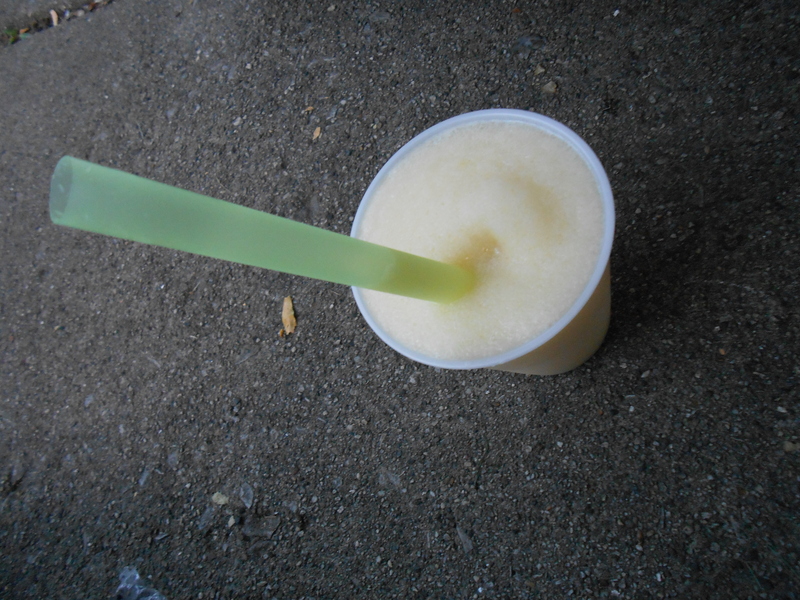 I got a non-alcoholic pina colada slushy. I also got a combo at a different booth which was a bit of everything they had, except for corn dogs. 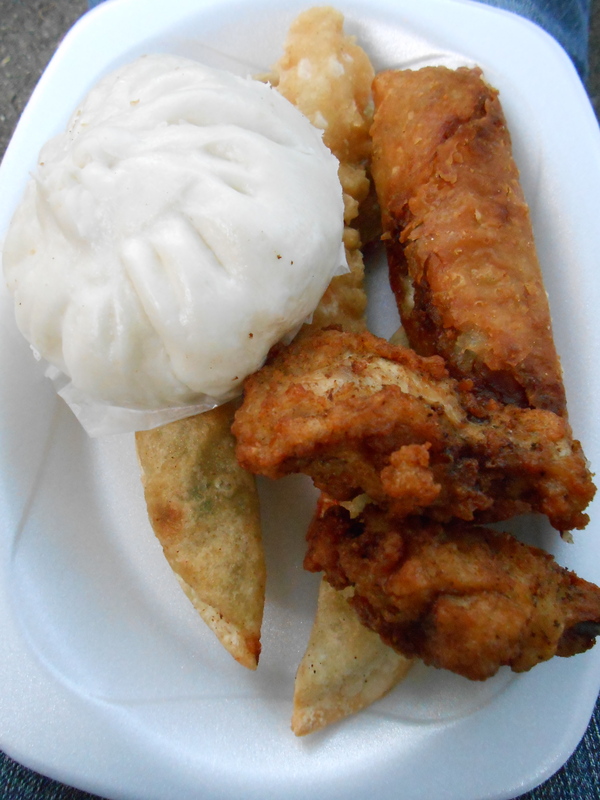 I got an egg roll, a vegetable dumpling, chicken wings, the biggest piece of fried shrimp I think I’ve ever seen, and something akin to a tempura potato. (akin, because it didn’t taste like a potato and was the wrong color for a sweet potato) I was also stopped a lot and asked where I got my food. The festival had somewhat limited seating for eating, in the sense that I couldn’t find any where to sit other than the sidewalk because of how many people were there. When I went it was somewhat late in the evening so a lot of the booths were closed. However food was still going strong. There were plenty of bbq places and traditional-esq korean food vendors. There was a stage playing music and with bands playing as well as korean music singing contest that happened later in the evening.